* Calls to this number will be recorded for quality, compliance and training purposes. Schemes are available on selected plots only, subject to status, terms and conditions apply. Contact the development for latest information. 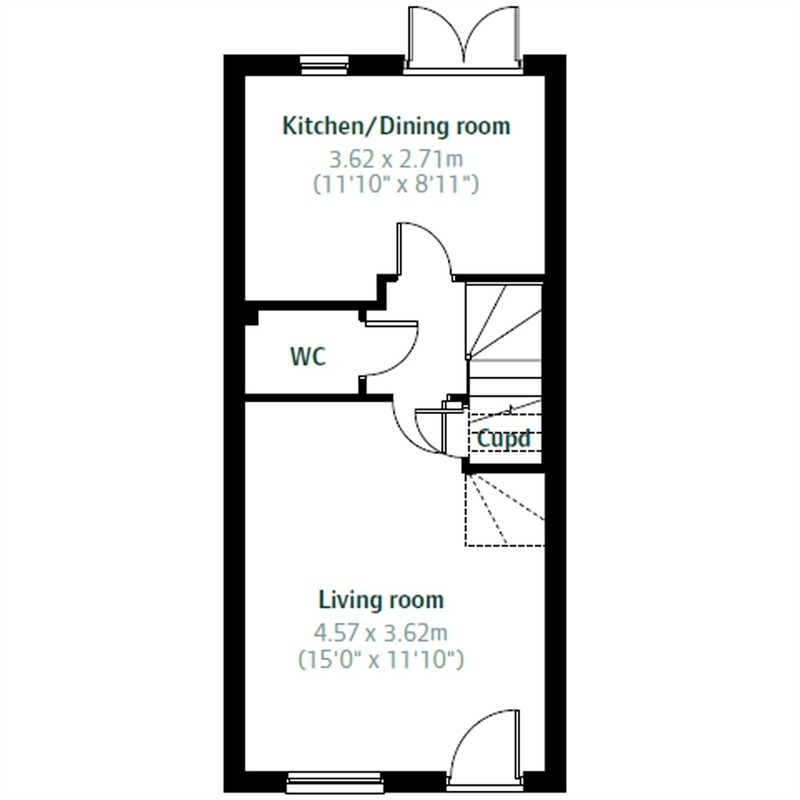 The spacious living room with under stairs storage opens onto the inner hallway and cloakroom which then leads into the fresh and modern open plan kitchen/dining room. With French doors leading into the garden, it's ideal for entertaining family and friends alike. Upstairs, a hallway leads to two double bedrooms and the family bathroom with brand new fixtures and fittings that serves all three bedrooms. 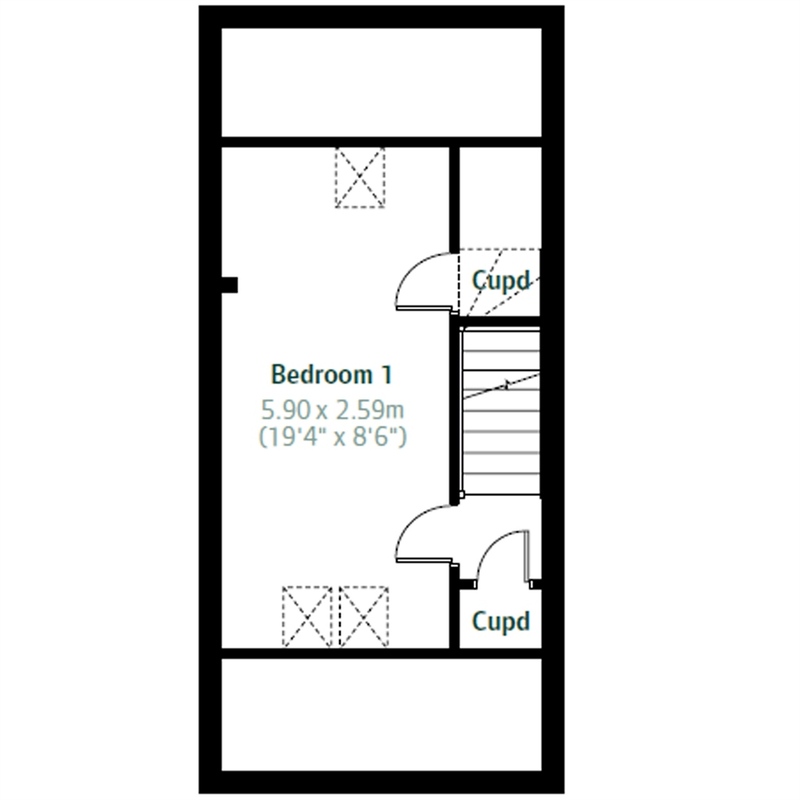 The top floor of The Bickleigh is home to the spacious master bedroom and two handy storage cupboards. Price is available subject to status, terms and conditions apply. We are a national house builder with a local approach to building your new home. We will provide you with the specification appropriate to the locality of your selected new home and development and we will explain the choice of external materials used, for example your brick colour and roof tiles. You will be able to select certain elements of the fixtures and fittings encompassing the latest designs from leading manufacturers, subject to the stage of build of your chosen home. If you wish to further personalise your new home, an exciting range of options is available to purchase from our Finishing Touches scheme. Our experienced sales team is on hand to guide you through the choices available to you depending again on the stage of build. Your new home will be built in accordance with all relevant technical and building regulations, in particular the Government's Code for Sustainable Homes. In addition all stages of the construction of your new home will be inspected by our experienced construction staff. On completion of your new home we will provide you with a quality assured certificate for you to keep. A 10-year warranty is provided with every new Persimmon Homes home. A comprehensive guide explaining the warranty will be supplied to you. We will ensure warranties provided by the manufacturers of appliances are honoured for the first year of occupation. Our Customer Care Department is on hand to offer you the necessary guidance and assistance. Golwg y Mynydd is set in the town of Mountain Ash in the beautiful Cynon Valley. 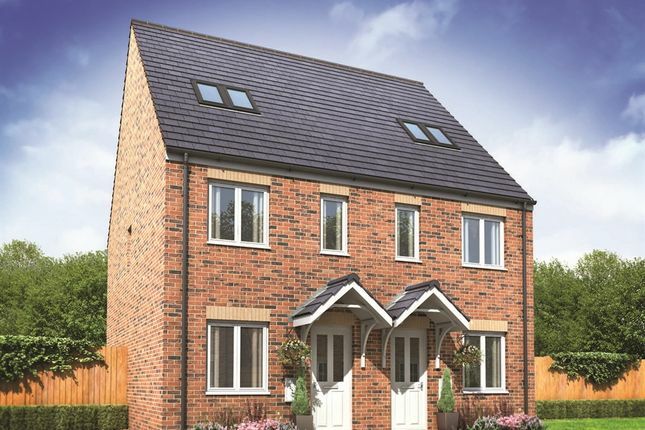 Offering a range of two, three and four bedroom homes it's ideal for first-time buyers and families alike. Mountain Ash (in Welsh 'Aberpennar') is a town and community in the Cynon Valley, which lies within the County Borough of Rhondda Cynon Taf as well as the historic county boundary of Glamorgan. The town lies about 5 miles south of Aberdare, a mile north of the village and community of Penrhiwceiber, and approximately 19 miles north-west of Cardiff. Our new development Golwg y Mynydd is Welsh for ‘Mountain View' and it gives an indication of what a special location this is to live. Surrounded by dramatic mountains and rugged landscapes this valley town is perfect if you enjoy the great outdoors. Originally a mining town – the search for ‘black gold' in the surrounding hillsides shaped the Valley towns we know today. Mountain Ash is a quaint little town which has its own high street and a small selection of shops such as Iceland, Howells Menswear and the local Post Office. For more choice, just 5 miles to the north, is the market town of, which has a much larger selection of high street shops and supermarkets such as Tesco, Asda and New Look. If getting out and about in the mountains is your idea of fun then this is the place to be. The nearby Dare Valley Country Park has 500 acres of countryside, walks, trails and family fun just waiting for you to explore. And BikePark Wales is also close-by; offering mountain bike trails from ‘extreme to serene' in the heart of the South Wales valleys. Aberdare is home to the newly-renovated Sobell Leisure Centre which has an abundance of leisure facilities including three pools, a gym and sports halls to cater for all ages. And children and adults alike will love Lido Ponty, a Grade II listed lido in Pontypridd. Its three heated swimming pools, adventure play park and state-of-the-art visitors' centre draw visitors from far and wide. Close to the development there's choice of local primary schools including Mountain Ash Comprehensive School & Ysgol Ramadeg Aberpennar for students aged 11–18. Local primary schools include Our Lady's R.C Primary School, Caegarw Primary School, Glenboi Primary School and Darranlas Primary School. 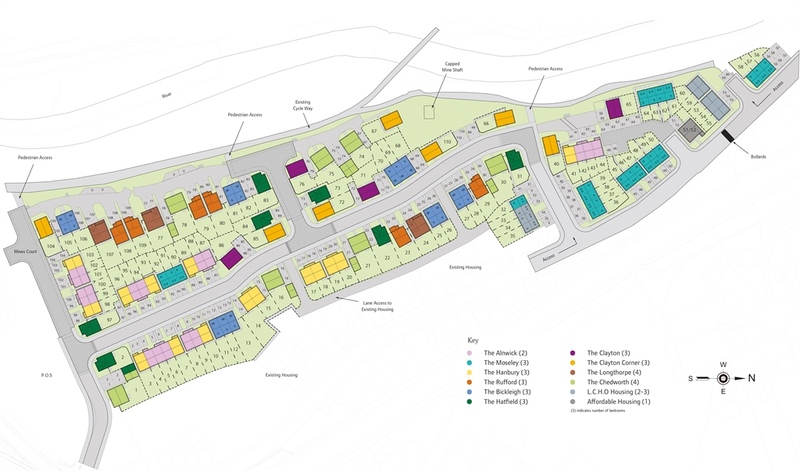 Living at Golwg y Mynydd means you can enjoy a tranquil location, with the charm of village life, but have the benefit of everything on your doorstep and great transport links. Make an appointment now, to come and see the development. Mountain Ash has a rugby team called Mountain Ash rfc. Rugby league club South Wales Scorpions also currently play their home matches in Mountain Ash. The Nos Galan is an annual 5 kilometre running road race, run on New Year's Eve to commemorate the first race of Guto Nyth Bran. Started in 1958, it now attracts 800 plus runners and 10,000 people to the event as well as the associated street entertainment. Cynon Valley Indoor Bowls club is also situated in Mountain Ash and slightly further afield, in the Town of Aberdare, is the newly renovated Sobell Leisure Centre which has an abundance of leisure facilities to cater for all ages. For local Welsh schools there is Ysgol Gynradd Gymraeg in Abercynon. Mountain Ash has its own high street and a small selection of shops such as Iceland, Howells Menswear and the local Post Office. For more choice, just 5 miles to the north is the market town of Aberdare, has a much larger selection of high street shops and supermarkets such as Tesco, LidI, Asda, Argos and New Look. The town is served by Mountain Ash train station which lies on the Aberdare branch of the Merthyr Line. There are regular services to major towns and cities: The journey time to Cardiff is 50 minutes, and Newport 1 hour 8 minutes. There are also excellent road links via the A470 which heads north to Merthyr Tidfyil and the Brecon Beacons and south towards Cardiff and Junction 32 of the M4 motorway. Ysbyty Cwm Cynon is situated in Mountain Ash itself and the Prince Charles Hospital is a short drive away in the town of Merthyr Tydfil. Images depict typical Persimmon Homes house type. All room dimensions are subject to +/- 50mm tolerance. This information is for guidance only and does not form any part of any contract or constitute a warranty. All information correct at time of publication and is subject to change. Please check specification by contacting the development directly. 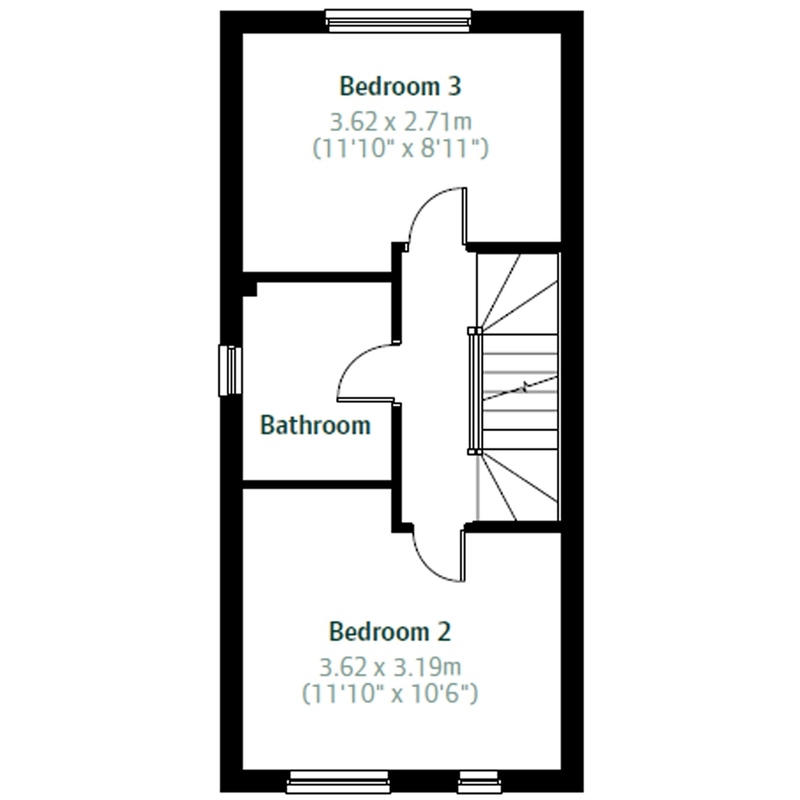 Property descriptions and related information displayed on this page, with the exclusion of Running Costs data, are marketing materials provided by Persimmon - Golwg y Mynydd, and do not constitute property particulars. Please contact Persimmon - Golwg y Mynydd for full details and further information. The Running Costs data displayed on this page are provided by SmartNewHomes to give an indication of potential running costs based on various data sources. SmartNewHomes does not warrant or accept any responsibility for the accuracy or completeness of the property descriptions, related information or Running Costs data provided here. The results are not provided by HSBC UK Bank plc and do not represent any particular mortgage product. Results are only indicative based on a repayment mortgage and are based solely on your inputs into the calculator. The monthly payments will depend on the product and repayment term you choose. Zoopla receive payment from HSBC UK Bank plc for this calculator and introductions resulting in decisions in principle. What is the Help to Buy equity loan? It's a loan that's linked to the rise and fall in the value of your home. If you take a 20% equity loan for example, the amount you owe will always represent 20% of the property's value. You won't be charged loan fees on the equity loan for the first five years of owning your home. After five years you will be required to pay an interest fee of 1.75% of the amount of your Help to Buy shared equity loan at the time you purchased your property, rising each year after that by the increase (if any) in the Retail Prices Index (RPI) plus 1%. The loan itself is repayable after 25 years or on the sale of the property if earlier.